Over the weekend, I had an epiphany. My wife and I were talking about our investments when I lamented that I wish I had the temperament for investing in rental properties, but… I just can’t handle dealing with other people’s incompetence. And there, in a single sentence, I summed up the conflicted feelings about real estate investing that I’ve had over the years. Yes, real estate investing makes senses on a number of levels, but I’m just not willing to deal with the day-to-day incompetence of my tenants. I know that this likely sounds both harsh and self-righteous, and I recognize that many (most?) tenants are responsible people but, based on discussions with friends, nightmare tenants aren’t as rare as you might think. I’m talking here about tenants who are chronically late with their rents payments, who break their leases early, who damage your property well beyond the value of their damage deposit, etc. Of course, they always have a good excuse, but what’s done is done. Sure, landlords have the option of pursuing legal remedies, but that’s both costly and time-consuming, and the legal deck is often stacked against the property owner. There are, of course, other reasons not to be come a landlord, not the least of which is the late night call about the overflowing toilet (or whatever else goes wrong). While it’s possible to outsource the property management to mitigate these issues, that comes at a cost and greatly reduces the profitability. This isn’t to say that real estate investing is a complete non-starter, but we’ll be sticking to REITs vs. individual holdings. This shouldn’t come as a surprise, since we do the same thing with stocks and bonds — i.e., it’s index funds all the way. Don’t bother being a landlord in Minnesota – the court system will not protect you or enforce your lease. 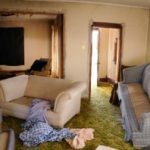 They bend over backwards here to protect tenants, even those who damage property and lie in court. It does require a certain temperament to deal with tenants. Much of the work of being a landlord starts with properly screening potential tenants before they get into your property and then making sure you follow up with the tenants and stay on top of everything. All of this requires having to deal with people and potentially dealing with people who may be clueless about the inner workings of a property. I’ve owned dozens of rental properties over the years and have both positive and negatives tories from it. Unfortunately it’s the negative stories that get told more often and remembered. In the grand scheme of things though Real Estate and being a landlord has been a huge positive for me and my family. I’m a landlord because I love fixing things and doing renovations, and I figure that when my own place is all finished renovating, I’ll still have the four apartments to play with. Plus, where else would I get 25% return on my investment? Thanks @Gerry. If it ain’t broke, don’t fix it. But if you wanna tinker, you might try AmazonPayments to save that $20/month. If I computed properly on my fingers and toes, this will work for one of your accounts and thereby save you $240/year. My name here is hyperlinked to a post I did about that. In a nutshell, an Amazon account holder can use a credit card to pay another Amazon account holder up to $1K/month. No fees or cash advance. Like PayPal but you are limited to $1K/calendar month. Currently, two of my tenants have Wells Fargo bank accounts. I have one as well. Wells allows an account holder to transfer $1500/month to another account holder – no fee. The transfer is instant, so no excuses. @Chip: The PayPal fee ($20 per account per month) is rolled into the rent. When we go that route, I say “we pay the fee”–but of course the money comes from somewhere. You might want to look into a service like eRentPayment.com. You’ll get automatic payments without having to raise a monthly fee. But then you’ll have to be concerned about bounced checks. The key point is this: If the properties are cash flow positive after setting aside 10% for maintenance and 8% for repairs, paying the Rental management company, etc… Then the tenant is buying your house(s). I have 6 rentals: 3 paid off, and 3 with mortgages. The effort on my part is minimal and in 14 years I’ll have 6 paid off properties that I can decide to sell and reinvest in dividend paying equities, or keep as part of a well diversified portfolio. The bottom line: The tenants are putting the equity into my pocket each and every month. How often can you find someone to write you a check for your future retirement? The return on equity is amazing. There are ways around the whole: “I don’t have the temperament to be a landlord” issue. There’s also the option of purchasing private securities in real estate. It’s similar to buying shares of a REIT or index fund in regard to passive/active efforts, but it allows the investor to have more control and intimacy with the management of their operations. In my opinion, this is the “Warren Buffett” way of buying real estate- and it happens to be what I do for a living. There are many cautions I would offer an investor, and anyone looking to offer equity ownership in their real estate holdings via private placement memorandums or limited partnership offerings, but the pro’s and benefits far outweigh the cons, relative to alternative investments in my opinion. (private real estate securities that I’ve offered in my real estate holdings return an average of 14-18% IRR to investors, and that’s 100% passive for them). @ Gerry Hat Trick — How do you handle the PayPal credit card fee? Glad to you wrote this post. I recently sold a rental property that I held onto for almost 6 years. We always had property management firm but still it was a big headache. My main frustration was the incompetent property managers, none were really good. I won’t invest again regardless how low the prices are. I’ve been a landlord since the mid-’80s. These are some of my strategies. – Prospective tenants are gleaned by reference from other and previous tenants only. – Criminal and credit records are checked on every prospective tenant, in that order. – The housing I provide is home for the occupants first and foremost, not primarily a means to financial gain on my part. That alone puts me ahead of the vast majority of landlords in the eyes of my tenants–and, ironically, is the real secret to my financial success as a landlord. – When my tenants are occupants, as far as I’m concerned they have virtual ownership over the property; I have “only” a financial stake in it. This goes a long way toward adjusting their attitudes regarding how they treat the premises, as well as the respect they show toward me. – Tenant Rule #1: Be A Good Neighbor. You’d be amazed how many people are willing to upgrade your premises, and their value, if you’ll only pay for materials–and sometimes you won’t even have to do that. Sometimes they’re just grateful you’ll let them have any freedom at all. Sometimes they’ll pay considerable sums and, amazingly, just walk away from the expense at the end of the lease. My leases stipulate that tenants pay for materials if the cost is under a specified amount, that’s probably larger than you would think. The main thing is to condition them to communicate their plans, and to use conservative judgment. It’s rarely a problem if you’ve done your homework in tenant selection. I pay a 3% fee where I use a property manager, who takes some of the hassle out of the equation. (It would be double that if I let them do the tenant screening and selection.) This and/or the duties I perform are a pittance in comparison to having a tenant making a mortgage payment for me. That’s a phenomenal deal. It’s even better than having someone contribute matching funds to an investment account, which is as good as it gets in passive investing. To each his or her own. Personally, I enjoy interacting with the users of my investment product, getting my hands dirty with it occasionally, and seeing it make a difference in people’s lives. If I wasn’t able to keep the inherent problems within well-controlled boundaries it might be another story. But then, that’s the difference between good and poor management. It’s great that you realized that your personality isn’t one of a landlord. You probably saved yourself lots of headaches. I’m jumping into the rental real estate market as I type. I just found my first tenant and am hoping all goes well. I’ve heard that 90% of tenants are OK, it’s the other 10% you have to worry about. And, you are right, the tenant has all of the legal power. Even with a lease, the tenant holds all of the cards. 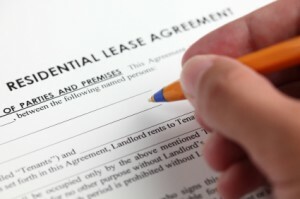 The lease just helps move processes along a little more quickly, but isn’t a fail safe. I have been very fortunate with my properties. If you take the plunge into landlordiness, I suggest two things: Get your rental looking its best for quick renting to uber-qualified people. And set a pleasant but strict tone. As strange as it is to say about other adults, you have to train them. Rent is due on the first. If they do not have their rent, they are asking me, an acquaintance, for a personal loan. This does not occur to them. For what it’s worth, last year I spent 34 hours dealing with tenants and their issues. 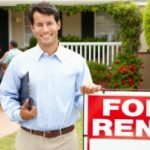 My sole experience as a landlord was with the benefit of a property manager. Having the manager was fantastic with respect to insulating me from the day-to-day and week-to-week hassles. But you’re right–in our case, the property manager’s fee pretty much absorbed my cash profit margin. So unless you’re willing to do the ‘dirty work’ yourself instead of hiring a property manager, the only profit may be long-term capital gain, depending of course on the details of each specific situation. Everyone’s experience is going to be different here, and not everyone is up for handling with a lot of other people’s problems. What are the regulations on how selective you can be in screening your applicants? Obviously you can’t foresee every problem, but can you check rental history or anything? When I retired about 2 1/2 years ago and decided to relocate, I faced a choice: try to sell my fully-paid-for house in one of the most depressed real-estate markets in the country, or turn it into a rental. Since I would literally take a loss after 21 years of ownership if I sold it, and I could buy a new residence for cash, I decided to rent it out. The property rents for $1,000/month but in today’s market would sell for less than $70,000. Since there’s no mortgage, the rate of return after expenses and taxes is still pretty good. I outsource the management and live 2,000 miles away. Not the ideal situation, I’ll grant you. But given that the only alternative is getting hosed on a sale, I think I did what I had to do. It’s now producing a reasonable income — way more than $70,000 would bring in any other kind of investment. Yeah, my dad used to do rental properties. I’m sticking with index funds. Who needs that kind of hassle? Obviously people with the temperament for it, who would not be me! You bring up a critical point. Do you have the temperament to deal with tenants. I don’t, or at least I don’t think I do. However, I know that there are people who do that well. Maybe you could find a partner? As someone who earns most of his income from rental properties, I completely understand your concern. Half of my rentals are in an area I would consider lower income, and those are indeed the ones I tend to have issues with. But, those also are my most profitable investment. I can take a $30,000 investment and rent it for $700/month, but a $175,000 investment only rents for $1,100/mo. I’m willing to put up with some headaches for the kind of return that comes with lower end tenants. You’re also right about incompetence, but I take the mindset that the tenant is paying me for their shortcomings. I don’t mind when a tenant is late as long as they remember to send in their late fee. Late fees earn me more than interest would if I had their money in the bank that extra few days. What does bug me are the really easy-to-fix problems that come up all too often. Three weeks ago a tenant texted me that her stove was broken. I knew this wasn’t so because it was only 2 years old. The circuit had tripped, so I literally flipped the switch and she was in business once again. Another tenant called me three days after she first noticed a leak in the kitchen. The repair was easy – I unscrewed the old supply line to the kitchen sink and replaced it (took me five minutes tops)… the damage to the floor in the living room – that’s another story. Still, I spend very little time managing my properties. I budget 10% of rental income for maintenance and repairs. Besides the time it takes to turn around a property when I have a vacancy, I usually spend just a few hours per month managing the properties. When I had 100% of my money in equities, I spent a heck of a lot more time studying the companies I invested in than I do managing my real estate. Landlording is part capital investment and part part-time job. I’m sure real estate investing isn’t for everyone. Tenants can be a real hassle, especially if it is on the lower end where late rent is more common. You really have to examine the profitability and what amount of inconvenience you are willing to sacrifice for that. Perhaps it might still be willing to invest in different type of real estate such as a single apartment unit and be extra picky about choosing the tenants.